We love us a good setting. Nature backgrounds are classic and beautiful, but there is something special to be said of a unique location that you can really have fun with. When Katie casually mentioned that it would be super cool to do bridals in her favorite coffee shop, we were determined to make it happen. Big shout-out to Jon Allen and Onyx Coffee Labs for providing an amazing and artistic backdrop to an exceptionally gorgeous bride! Here are some of our absolute favorites from this session. Our team for this shoot included Bryan, Alex, and the newest addition to our team, Caitlin Padilla. Of course, we had to take the chance to highlight some of the intricate details that make Onyx have such a cool-factor. Bryan absolutely could not resist grabbing a few commercial shots fo the coolest coffee shop around as well. To purchase prints for any of these photos, or to view the entire collection of bridals, click this link to their online gallery. Congrats Katie and Austin! We will have wedding photos up on the blog very soon, so keep an eye out! 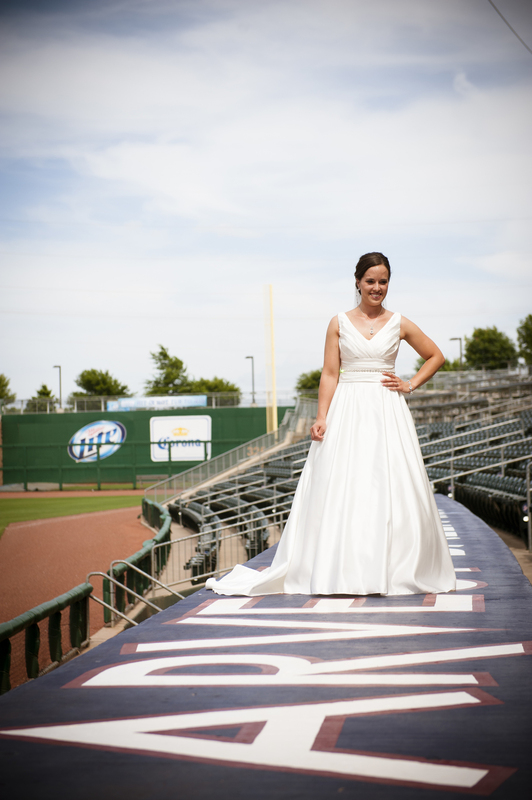 Melanie + Billy Wedding - First Ever Wedding at Arvest Ballpark! You guys. This wedding was an absolute blast for us. It was a GORGEOUS July day and we could not have asked for a prettier scene. This wedding takes the cake for out of the box creativity. Rather than paring down out photo options, we decided to go with a more "sharing is caring" approach. So here are ALL of our favorites from the beautiful Law Wedding! "You probably don't want to sit on the dugout in your white dress, right?" "Sure! Why not?" From one of the suites. Those are buttons running all the way down the dress. Seriously though. So beautiful. Baseball wedding for baseball fans. A baseball wedding isn't complete without concession stand food at the reception. Melanie got to walk out of the dugout to the aisle. So cool! Who needs an alter or arch when you have a Home Plate? Because Baseball. This is by far my favorite shot. We are so excited that we got to be a part of this super cool wedding. Thanks Billy and Melanie!